Did you know that the Dolos, Kreepy Krauly and Pratley Putty are all famous South African inventions? 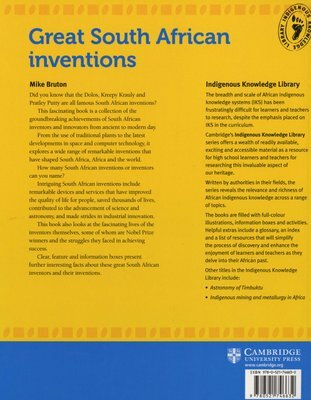 This fascinating book is a collection of the groundbreaking achievements of South African inventors and innovators from ancient to modern day. 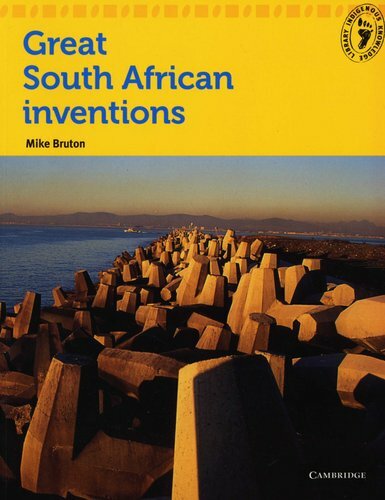 From the use of traditional plants to the latest developments in space and computer technology, it explores a wide range of remarkable inventions that have shaped South Africa, Africa and the world. How many South African inventions or inventors can you name? 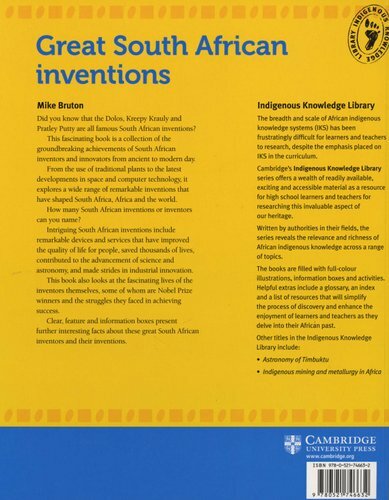 Intriguing South African inventions include remarkable devices and services that have improved the quality of life for people, saved thousands of lives, contributed to the advancement of science and astronomy, and made strides in industrial innovation. This book also looks at the fascinating lives of the inventors themselves, some of whom are Nobel Prize winners and the struggles they faced in achieving success. Clear, feature and information boxes present further interesting facts about these great South African inventors and their inventions.